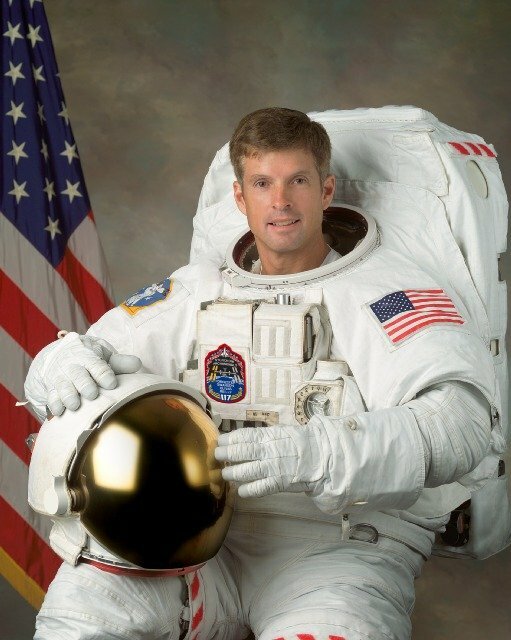 April 17, 2014 – Colorado Astronaut Steve Swanson is scheduled to conduct a spacewalk in the coming week to replace a failed backup computer relay system on the international space station’s truss. The activity, designated U.S. EVA 26, will be broadcast live on NASA Television. Swanson and fellow NASA astronaut Rick Mastracchio are scheduled to venture outside the space station Wednesday, April 23, to replace a backup multiplexer-demultiplexer (MDM) that failed during routine testing April 11. The box is one of the station’s two external MDMs that provide commands to some of the space station’s systems, including the external cooling system, solar alpha rotary joints and mobile transporter rail car. NASA TV coverage of the April 23 spacewalk will begin at 8:30 a.m. The spacewalk is scheduled to begin at 9:20 a.m. If Friday’s SpaceX cargo launch to the station is postponed, the two Expedition 39 astronauts will conduct the spacewalk Sunday, April 20. NASA TV coverage would begin at 8 a.m. with the spacewalk scheduled to begin at 8:55 a.m. The spacewalk will be the 179th in support of space station assembly and maintenance, the ninth in Mastracchio’s career and the fifth for Swanson. Mastracchio will carry the designation of EV 1, wearing the spacesuit bearing red stripes. Swanson will be EV 2, wearing the spacesuit without stripes.